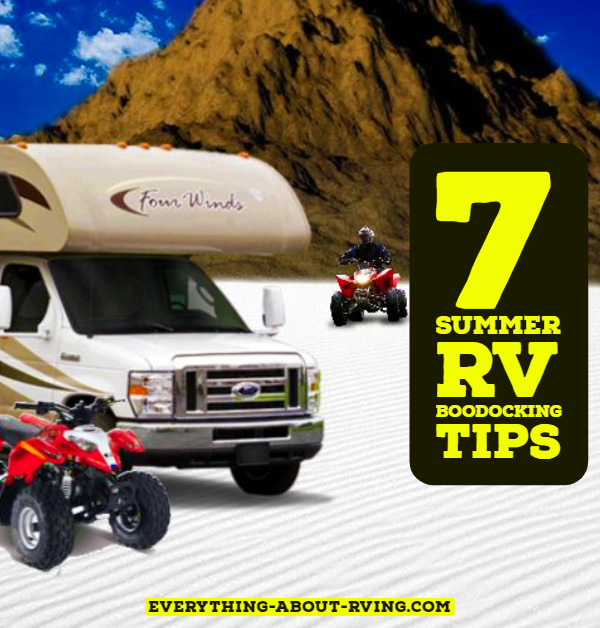 Everything-About-RVing.com is our personal website. We accept advertising and other forms of compensation. Such compensation does not influence the information on this website, but thanks to our advertisers and sponsors we are able to continue to offer quality information about RVing and the RVing Lifestyle. We always give our honest opinions, findings, beliefs, or experiences. We will only recommend a product or company that we feel is a valuable resource for our readers, but this is solely based on our own personal opinion. Any questions, claims or descriptions of a product or service should be independently verified with that company. "Ads by Google" are not selected by us, so if you see a Google ad on a Web page about the same product or service, it is a coincidence. Ads by Google appear on various pages of this website and are clearly identified as such. All double-underlined words are text ads provided by Infolinks, like Google's except that they are not clearly identified by Infolinks as ads. The content of this site will sometimes include other contextual affiliate links. That content, advertising space or post may not always be identified as paid or sponsored content. We only accept non-Google advertisements from providers of high-quality goods or services. These advertisers include, but are not limited to Amazon, eBay, Good Sam Club and various other affiliate stores in order to offer you products and services related to this site's content. Some advertisers pay a monthly fee for their advertising. For others, if you click on their ad or text link and buy something, we receive a small commission. Please understand that the price you pay is the same whether you buy from them through a link on this website or buy directly from their affiliate store. The commissions we receive from your purchases through the advertisements on our website are what help keep Everything About RVing going and help keep the information we provide on our website free for your enjoyment. So supporting our advertisers is a WIN-WIN-WIN for you, me, and them.